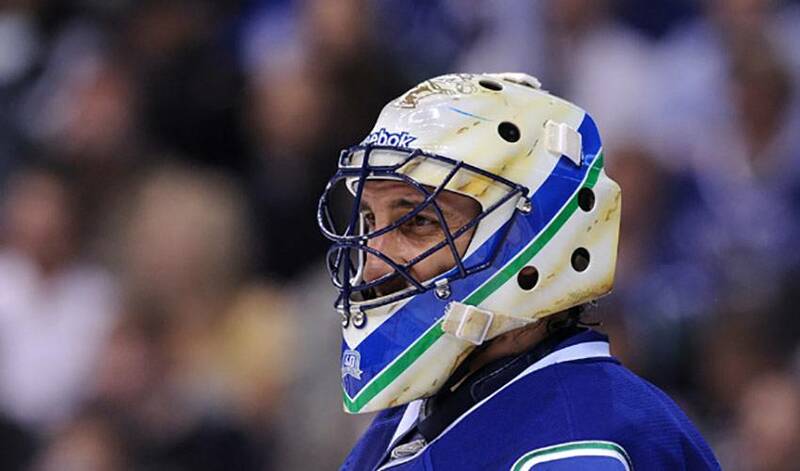 In the moments after Kevin Bieksa's goal put Vancouver fans in a state of pandemonium and the Canucks into the Stanley Cup Final, Roberto Luongo was reminded of a childhood dream that finally came to fruition. He's one of hockey's best goaltenders, yet he often finds himself under the microscope, questions abounding about his ability to win the big game. And while his statistics, trophy case and undeniable talent are impressive, to say the least, Luongo, who made 54 saves in the series-clinching 3-2 overtime victory in the Western Conference championship, has finally silenced his critics. He's also realized a lifetime goal. “We work all our lives for this, not only this season,” said Luongo, who headed into the Cup final with a record of 12-6, accompanied by a 2.29 goals against average and .922 save percentage. “Growing up as a kid, this is where you want to be. There are a lot of guys in the locker room that haven't had a chance to be where we are right now, including myself. Luongo, who won the William M. Jennings Trophy (lowest goals-against) along with teammate Corey Schneider in 2010-11, is not just making saves in the post-season, he's making game-changing stops. In the opener of the Cup final against the Boston Bruins, he was simply stellar, turning back the Eastern Conference champs time and again, leading the Canucks to a 1-0 victory. For as solid as he's been between the pipes, Luongo has been equally resilient. After Vancouver saw their three games to none lead evaporate against their nemesis, the Chicago Blackhawks, in their first-round matchup, Luongo was strong in Game Seven, another overtime triumph. In their Western semifinal against the Nashville Predators, he was equally impressive, shutting down shooters as Vancouver bested the Preds in six games. Now, he and his teammates will have the chance to deliver the franchise its' first-ever league championship. “I said to my family before the series started, this is what I've been waiting for my whole life,” said the Quebec native, who won a gold medal with Team Canada at the 2010 Winter Olympics in Vancouver. For all of his efforts, Luongo, who has a career 2.53 goals against average and 53 lifetime shutouts, knows it has been the contributions of a variety of players that have the Canucks four games away from hoisting the Cup. A simple approach, perhaps, but one that has led Vancouver to their first date in the final since 1994, when they lost in seven games to the New York Rangers. Luongo is as confident as ever, not only in himself, but as a group. The players and the coaching staff like what they see in their goaltender. He also may have finally out an end to any questions surrounding his legitimacy as one of the very best at his position. Roberto Luongo has proved his mettle in the NHL by cementing himself among the greats and into the fourth spot on the all-time NHL win list, and his skill between the pipes, is only paralleled by his skill within 140 characters.